Buy works – Vinokur Vladimir Isaakovich | (born in 1927, Moscow). 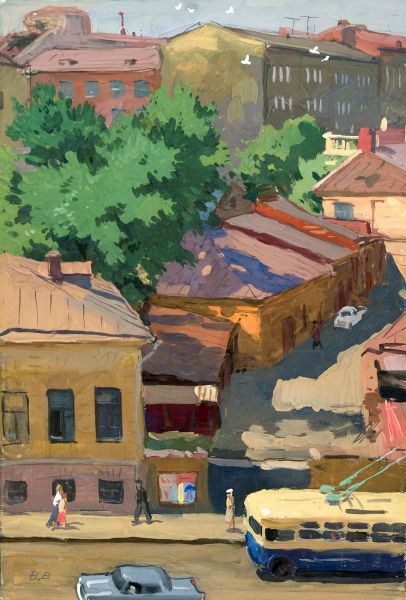 Vinokur Vladimir Isaakovich (born in 1927, Moscow). During 1939-1946 studied at Moscow Secondary Art School, then at the Surikov's Institute (1946-1952) under B.A. Dekhterev, M.S. Rodionov and K.I. Finogenov. Participated in exhibitions since 1952. His works can be found in many regional museums. Technique: Mix. media on paper..
Stalin's speech on November, 7th, 1941 at station of underground "Mayakovskaya".